Pamplona Alta slum, Lima, Peru. 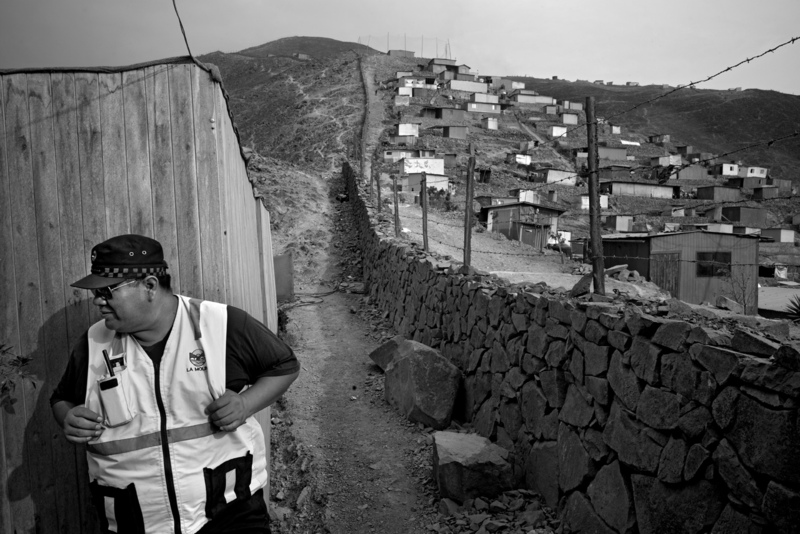 A private security company is hired by the town hall of La Molina, a rich neighbourhood located on the other side of the wall, to watch over the separation wall. An officer stands guard from a control post.